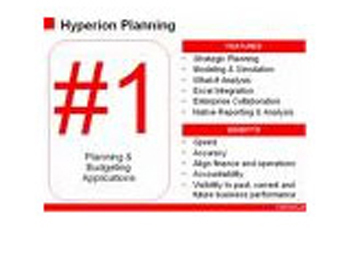 Oracle Hyperion Planning is a centralized, Web-based planning, budgeting and forecasting solution that drives collaborative, integrated, event-based planning processes throughout the enterprise for a wide range of financial and operational needs. 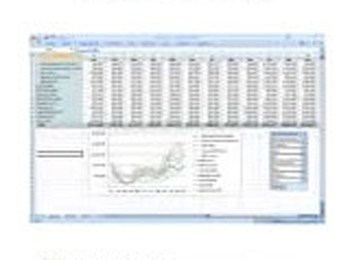 As an integral part of the Oracle Hyperion Business Performance Management Suite, Oracle Hyperion Planning allows companies to track and monitor business plans and forecasts translating strategic objectives into operational goals and targets. Each Decision Support Technology consultant is expertly trained and certified on Oracle Hyperion Planning. As an Oracle Certified Partner, specializing in Oracle's Enterprise Performance Management solutions, DST is your choice for the greatest value for your Hyperion consulting dollar.